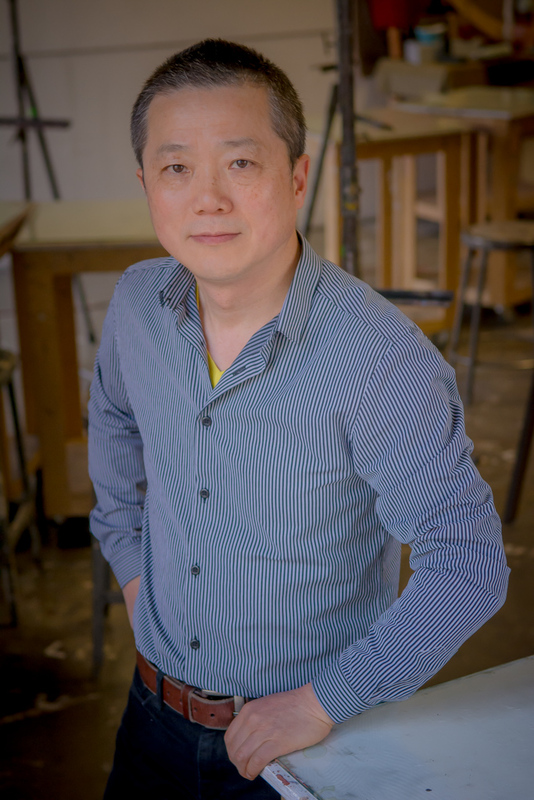 Zhi Lin has shown his work in many museums in the United States, United Kingdom, and China, including the Princeton University Art Museum, the Museum of Modern Art in New York, the Nelson-Atkins Museum of Art, the Missouri Museum of Art and Archaeology, the Oakland Museum of California, the Asian Art Museum of San Francisco, the Frye Art Museum, the University College London Art Museum, the Cambridge University, Oxford University Ashmolean Museum of Art and Archeology, the Contemporary Arts Institute in London, the China Academy of Art Museum, and the National Fine Art Museum of China. Lin’s work is included in the collections of the Princeton University Art Museum, the Frye Art Museum, the Oxford University Ashmolean Museum, the University College London Art Museum, and the National Fine Art Museum of China in Beijing. Currently, his work is represented by the Koplin Del Rio Gallery in Seattle. Lin has been the recipient of many prestigious national and international recognitions, fellowships, and awards, including the Fellow in the Humanities Council and the Tang Center for East Asian Art at Princeton University, the University of Washington Royalty Research Scholar and Research Fund, Creative Capital Foundation Grant in Painting, Lila Wallace-Reader’s Digest Artists at Giverny France Grant, Art Matters Foundation Fellowship, National Endowment for the Arts Visual Artist Fellowship in Painting, NEA/Midwest Regional Artist’s Project Grant, Washington State Arts Commission Fellowship, Missouri Arts Council Visual Artists’ Biennial Grant, and Delaware State Arts Council Individual Artist Fellowship. His works were reviewed and published by many national and international print and online media, among them the New York Times, the Philadelphia Inquirer, the Chicago Tribune, the Los Angeles Times, Artnews, Art in America, American Arts Quarterly, Artweek, American Artist Magazine, and Art Review. Besides his appointment in the School of Art + Art History + Design, he has been Affiliated Faculty at the Jackson School of International Studies at the University of Washington since 2001. Zhi Lin: "Chinaman's Chance on Promontory Summit Golden Spike Celebration"